Winter is Coming. Is Your Piano Ready? For those of us in the northern climates winter is fast approaching. Are you taking care of your piano properly? If you live in an area that gets cold and dry you should consider a humidifier for the room where you keep your piano (or a piano specific humidifier). Generally speaking pianos like humidity around 42%, and interestingly so do humans. Do you own a piano that is still under warranty? Did you know some warranties may be voided if you don't maintain the proper environment for your piano? And for those of you who are coming into summer (like our friends in Australia and New Zealand) you need to keep the humidity down. Regardless of where you live, the change in seasons are also a good time to get your piano tuned. Piano Parties!We love piano parties! If you are planning to hold one, please let us know. Piano parties are a great way to share your love of playing (and listening) and an opportunity to get non-players interested. Kathy and I hope to be able to attend the one in Italy (we'd love to attend both but finances won't support it). We're also planning to put together a European Piano Tour that encompasses Italy and possibly parts of Germany and Austria, still in the very early stages (also for 2016). Let us know if you might be interested (frank@pianoworld.com). (from NYC)Performing in Lowell, MA on Sunday Nov 9th at 4pm. "Olga is an rich, dynamic and exciting performer and receiving fabulous reviews in NYC and around the world". For pianists, ages 15-25 who reside in the United States. 2015 Concerto Competition "Theodor Leschetizky"
Special: Rebuilt M100 Spinet - $599 "Whiter Shade of Pale" sound! We are often asked how to post pictures in the forums. There is a Picture Gallery Forum specifically here to make this easier. First, please understand that we much prefer you upload a copy of your pictures to our servers using this gallery feature, or our older uploader, rather than just linking to them hosted elsewhere. Player Piano Premier is a new company that produces player piano music for nearly all CD and MP3 based systems including Yamaha Disklavier, PianoDisc, QRS, LX and more. All your favorite music from Disney, Sinatra, Beatles, Love songs, Christmas and More. Please check out our Facebook page at www.facebook.com/playerpianopremier. The Music Teachers National Association is holding their National Conference in Las Vegas in 2015. If you know of any music schools you think we should add to our list, please let us know. (Pianist, Composer, Author, Actor, and long time Forums member, as well as the creative mind behind the long running "Let's Talk Weddings" post) and her beautiful, talented daughter Julia performing their original piece "Maybe It's You"
What Playing a Musical Instrument Does to Your Brain! Ever wonder if musician's brains are different? Need some facts to help convince your child's school they should keep their music programs? This little video just might be what you need. It goes beyond speculation, using actual scientific studies that show how wonderful playing a musical instrument can be for your brain. What Playing a Musical Instrument Does for Your Brain! Piano Dealers, Tuners, Teachers, Movers Wanted - Canada, Australia, UK! I have been approached a number of times by industry professionals (dealers, tuners, movers, restoration shops, etc.) from countries outside the U.S. about advertising on Piano World. Do you like the Piano Forums? ~ Have you found something fun, interesting, helpful on the Piano Forums or other parts of Piano World (http://www.pianoworld.com/directory.htm)? ~ Do you want Piano World and the Forums to be around a while? ~ Would you like to see us continue to grow, reaching out to more piano/music lovers and providing more resources? If you answered YES to any of the above, please consider becoming a SUBSCRIBING MEMBER. What is a Subscribing Member? PLEASE Read the Details & Consider Becoming a Subscribing Member! 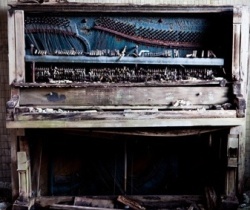 Call your piano tuner today. Lots of great items for music lovers, music teachers, piano tuners, and so much more! 76,000+ Forums Members, Over 2 Million Posts, and always growing!